As a participant in several affiliate advertising programs, I include links to different products, retailers or organizations in my blog posts, or on my sidebar. You may also see advertising in my posts or on my sidebar. These links do provide a commission to me. 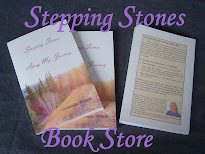 I am also a participant in the affiliate programs for Christian Book Distributors. If you choose to purchase through the links on my blog, you are helping me to contribute financially to my family. Thank you for your support! I firmly believe in protecting your privacy. When we communicate through email, I do not save or share your email address with others. If you’re an email subscriber, I will only send out blog posts or other relevant emails. I promise to not send any spam email to your inbox. If you receive what looks like a spam email, PLEASE let me know so I can handle it accordingly.